Eleven more charges have been added to the criminal case launched against Elchin Gasimov, the deputy chairman of the Muslim Union Movement, Gasimov’s lawyer Elnur Nabiyev has told the Institute for Reporters’ Freedom and Safety. According to the lawyer, the news charges against Elchin Gasimov have been brought under Articles 214.2.1 (terrorism, committed on preliminary arrangement by a group of persons, an organized group or a criminal community (criminal organization)), 214.2.3 (terrorism, committed with use of fire-arms or items used as a weapon), 214-2 (explicit calls for terrorism), 220.2 (making calls for active insubordination to lawful requirements of representatives of authority and for mass disorders, as well as violence against citizens), 228.3 (illegal purchase, transfer, selling, storage, transportation or carrying of fire-arms, their accessories, supplies and explosives – the acts specified in Articles 228.1 or 228.2 of the present Code committed by an organized group), 228.4 (illegal purchase, selling or carrying of a gas weapon, cold steel, including a throwing weapon, except for districts where carrying of a cold steel is an accessory of a national suit or connected to hunting), 233 (organization of actions violating public order or active participation in such actions), 278 (violent seizure or maintenance of power), 279.1 (creation of armed formations or groups, which are not provided for by the legislation of the Azerbaijan Republic, participation in their creation and activity, supplying them with weapons, ammunition, explosives, military engineering or military equipment), 281.2 (armed uprising, the same acts committed repeatedly or by a group of persons), and 283.2.3 (incitement of national, racial or religious hatred and hostility, committed by an organized group) of the Criminal Code. Muslim Union Movement deputy chairman Elchin Gasimov was arrested in a police operation carried out in Nardaran settlement on November 5, 2015. Elchin Mammadov was charged under Article 310 (willful disobedience to the lawful demand of a police officer) of the Code of Administrative Offences and was sentenced to 30-day administrative arrest. Later, a criminal case was initiated against Elchin Gasimov under Articles 221.2.2 (hooliganism, committed with resistance to a representative of authority or another person safeguarding public order or preventing its violation) and 315.1 (resistance to a representative of authority performing his official duties with use of violence not dangerous to life or health, using such violence or threatening to use violence against a representative of authority or his close relatives in connection with performance of official duties) of the Criminal Code. Gasimov was ordered remanded for 3 months. 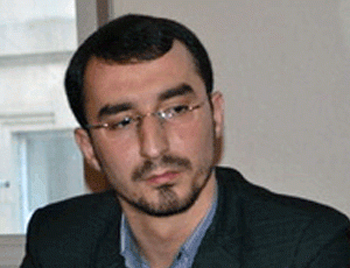 On April 23, 2016, Nasimi District Court extended Elchin Gasimov’s pretrial detention term by three months. The appellate complaint against this decision of Nasimi District Court was not granted by Baku Appeal Court’s decision of April 28, 2016.